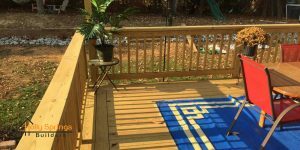 Among the most enjoyable rites of summer in North Carolina is spending time in your own backyard. 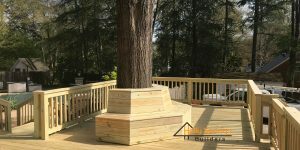 Take advantage of the yard and outdoor area you have with your home and create a living space that extends beyond the interior. 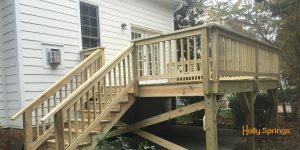 There are so many possibilities, and we can help you design them. 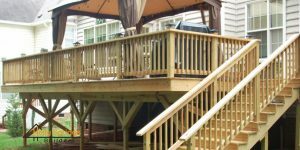 Enhancing your outdoor time and your property value, a deck is a delightful entertainment spot for family and guests alike. 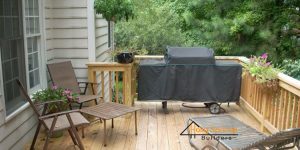 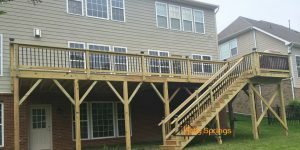 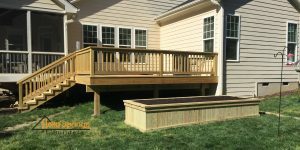 Matt, the owner of Holly Springs Builders, is here to help you all the way through the process from realizing how much land you have to use to build your deck, all the way through designing the deck itself and building it to fit your needs. 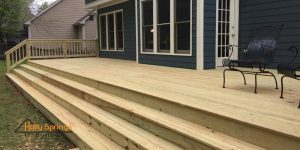 With over 10 years of custom building experience, and Workmanship Guarantee, we are the choice of homeowners in Southern Wake County call us when they want a custom Deck!